If you're traveling to Charlotte for New Year's Eve or Day, there's no shortage of fun activities and events happening throughout the city over the holidays. Whether you're looking for a family-friendly fireworks show or want to leave the kids behind and party with friends, there are plenty of events to celebrate 2017 and ring in 2018. Many clubs and venues in Uptown Charlotte host their own holiday events, but the city itself also puts on a lot of special celebrations for New Years called CTL New Years Eve, but keep in mind that many of the big-name events in the city are ticketed events, so you'll need to pay for admission in advance to guarantee entry into these special New Year's parties. Although many restaurants, shops, and establishments might be closed on New Year's Day in Charlotte, explore the following sections, check out the associated events' websites, and plan your trip to Charlotte to ring in the New Year. The biggest event of the New Year's celebrations in Charlotte is CTL New Year's Eve, an annual tradition that dates back over 30 years and features a huge fireworks display, live music, food trucks and vendors, and the lighting of the Queen City crown. 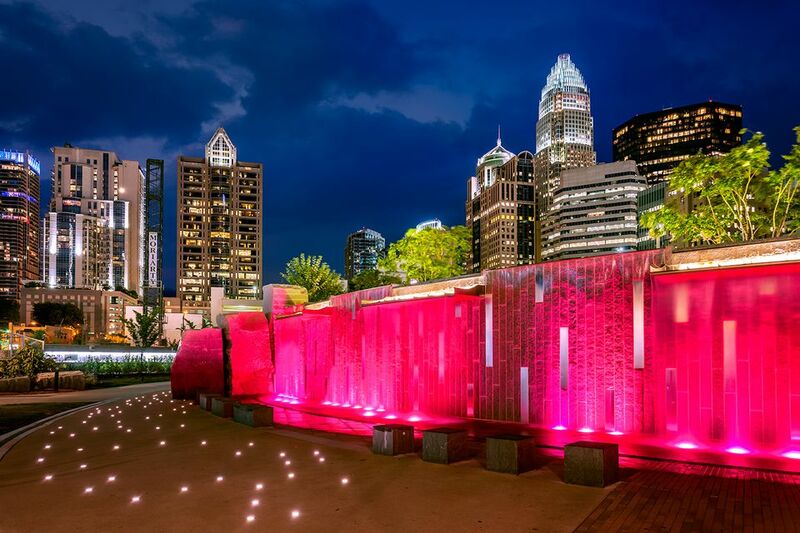 Although the event used to be called First Night Charlotte, it was taken over in 2016 by an Ally Bank sponsorship and renamed. Starting at 8 p.m. at Charlotte's Romare Bearden Park, this annual event features artists, dancers, comedians, musicians, and magicians for you to enjoy as you count down the end of 2017—the fireworks display starts at midnight sharp. If midnight is too late for the younger ones in your family though, there's a kid's countdown earlier in the day at the main stage at noon, with activities and events for kids running from 1 to 6 p.m. in the same Romare Bearden Park. Presenting live covers of some of the biggest hits of the year (and all time), the national Howl at the Moon party series returns to Charlotte for New Year's Eve with plenty of party packages to help you create the perfect night out to bring in 2018. Event packages start with Standing Room, which guarantees admission inside Howl at the Moon (but doesn't promise that you'll have a seat or a table), two house drinks (up to $8.25) and a champagne toast, and they go all the way up to Champagne Supernova, which features seating, drinks, a buffet and champagne toast at midnight; packages range from $50 – $120. The Roxbury Nightclub in Charlotte—voted the best nightclub in the city—also hosts an annual event called the 17th Annual “Back to the Future Bash” at Roxbury. Here, you can become a time traveler for the night and dance to ‘80s and ‘90s favorites. Admission includes New Year’s Eve favors, a champagne toast, and access to four bars and multiple dance floors. Tickets are a little bit cheaper if you purchase them online, but most years you can still get in at the door. And if you're looking for a more chill and reserved celebration, check out the third annual "Brew Year's Eve Celebration" at ​Sycamore Brewing where there’s no dress code and no tickets required. Food trucks will be on site, so you won’t go hungry as you enjoy live music, bottles of champagne and pitchers of beer under Sycamore’s large heated tent.